More SINGING SAW CHRISTMAS MUSIC! This time paired with the banjo stylings of Steve Cooley, who graciously picked some impressive banjo despite Brigid's silly novelty holiday music ideas. Hope these songs make you smile! Following the success of her first two studio albums, Kaelin spent several years playing all over America and Europe, living in Scotland, playing as a sideman in other bands, writing, having two babies, oversharing on her blog “The Red Accordion Diaries” and balancing musician-life with motherhood. Those Who Drift Away is the culmination of this balance — a studio record with optimism, sass, and the hint of irreverence that her audience loves. 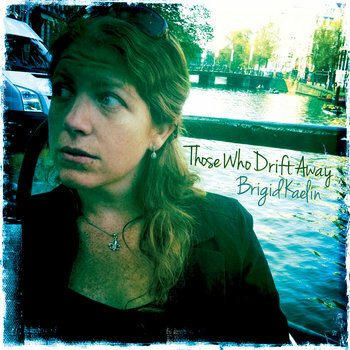 Recorded mostly on Steve Cooley’s houseboat on the Ohio River — the vocals recorded literally the day before her second son was born — Those Who Drift Away features Kaelin’s trademark accordion, piano, and musical saw, but also shows off Grammy-nominated Steve Cooley’s incredible picking power from banjo to bass. Award winners Aaron Bibelhauser and Michael Cleveland lend steel guitar and fiddle, rounding out a more old-time country vibe than Kaelin’s previous recordings. Musically, Kaelin remains a little alt-country and a little vaudeville, with the mysterious banjo/accordion/musical saw number “The Jester,” a song inspired by her first time sharing the stage with her keyboard-idol, Steve Nieve (with Elvis Costello & the Imposters). She also offers up some straightforward bluesy-rock with “Louisville,” a love-song to her hometown. As she sings in that song, “those who drift away always come back home someday,” — and that’s exactly what Kaelin has done with this strong return to the Louisville music scene. Second full-length album featuring the duet with Shannon Lawson, "One More Last Kiss," which was called “country gold in that Gram Parsons/Emmylou Harris tradition” by Michael Young of 'Roots N Boots.' Produced by Duane Lundy (Ben Sollee). Debut album, featuring the popular "Ballad of Motorcycle Joe" and "Future Mr. Used to Be" and "Whisky in the Faucet." Out of print, but over three thousand sold in first 2 years. 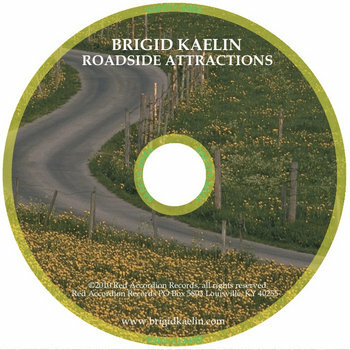 A 5-song collection of 2 new Brigid songs (demo recordings), 1 traditional, 1 cover, and 1 LIVE version of a Brigid song recorded in England on a past tour. 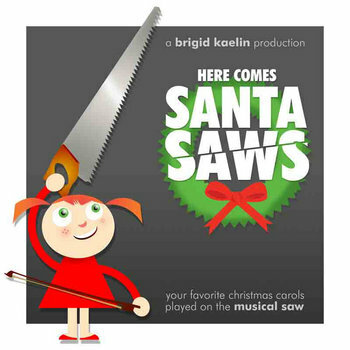 Holiday music collection volume one performed on the musical saw with piano accompaniment. Check out "I Saw Three Ships" (volume 2!) for some Christmas cheer paired with the banjo. "Hilarious Hanukkah songs for the whole family."